Add to your security system or just connect them to your TV for a beginners monitoring station. 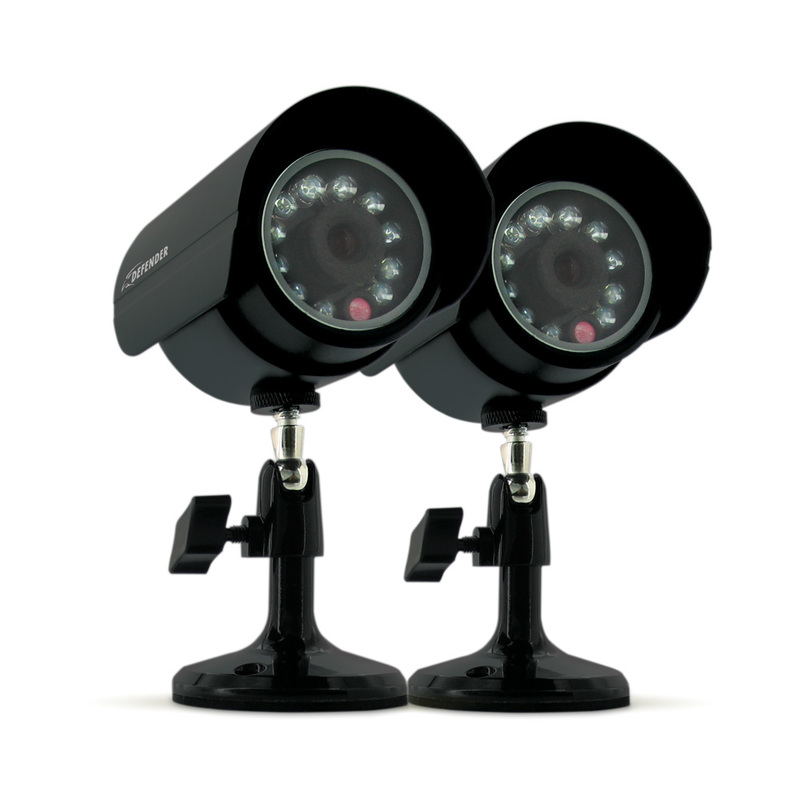 The SP301-C cameras are high resolution CCD color cameras that can be used indoors or outdoors. At 420 TV lines of resolution, you will see a clear, consistent picture. The cameras are a simple and effective addition to any existing security system, and gives you an extra eye when protecting your property. Now you will always be aware of what happens at your business or home with 12 infrared (IR) LEDs that allow you to see in the dark, up to 15ft away. These cameras are easy to mount due to their compact size and 60ft of included wiring – you can set them up almost anywhere!